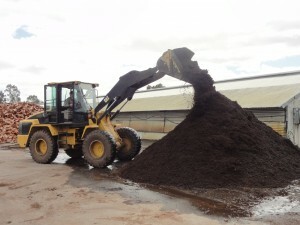 MULCH – high quality Jarrah Mulch from $40 a trailer load (pick up price). FIREWOOD – seasoned Chopped Jarrah firewood for delivery or pick-up. BAGGED FIREWOOD – Chopped Jarrah firewood and Jarrah Kindling available in individual bags or pallet quantities. Wholesale enquiries welcome. One of the largest undercover storage areas for Bagged Firewood in WA. Delivery available to Perth metro and WA country areas. 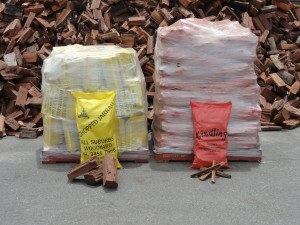 Wholesale enquiries for Bulk Firewood, Bagged Firewood and Mulch welcome. Sustainable firewood and mulch production. All products sourced from government approved Forest Products Commission contractors. Members of the Firewood Association of Australia (FAA). OUR DELIVERED FIREWOOD IS 2.4 CUBIC METRES PER TONNE LOOSELY STACKED – PLEASE COMPARE THAT TO OUR COMPETITORS. So whether you’re looking for firewood or mulch supplies in WA, contact us today.